The Wellness Lifeline will talk about healthy lifestyles, including tips and tricks for living a healthy life. I will share how to deal with all that life has to offer. Wellness isn’t just something new age that we are interested in, it is a way of life for health, happiness, creativity and more important, the quality of our life. It doesn’t matter your age or what you do. The model I love to work with comes from Bill Hettler of the National Wellness Institute. It includes six dimensions of wellness: Physical, Social, Intellectual, Spiritual, Emotional, and Occupational. It covers all aspects of our lives. I have added financial, enviornmental and pet wellness to the dimensions as they fit my life. I hope by sharing the ups and downs of my life and sharing how to deal with all that life has to offer I can help others become healthier in all of the wellness dimensions and live happier. Wellness can be used in all aspects of our life from healthy recipes to simply some wellness words of wisdom, I will offer healthy lifestyle tips and tricks for living a healthy life to feel fulfilled with your life. 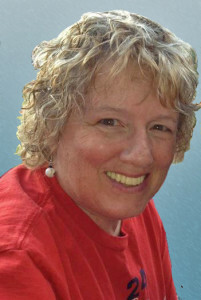 I am an I/O psychologist who has worked in corporations and education. I have a clear vision and leadership in the wellness area which I love to share. I have been a member of the Natinal Wellness Institute (NWI) since the 1980s and remember when everyone was just trying to figure out what this “wellness” thing was. I have used “wellness” even before I knew what it was through good times an d bad. Sometimes it was in how I used creativity to deal with difficult times and at other fun times it was in always having a dream and working for it. Wellness is one of my passions along with being an artist and teacher. I live a vegetarian lifestyle and 2 or my granddaughters and my daughter are vegan, so I am also learning to cook vegan and find myself always looking for the healthy but delicious recipes. I work at finding one thing beautiful in each day and will share some of my art in my blogs. Dr. Susie being face kissed by Nira at Wolf Timbers in Bolivar Ohio. 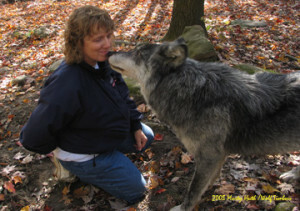 I think life is an adventure and the picture of me being kissed by Nira at Wolf Timbers is from one of my ongoing adventures of working for our endangered animals. I believe in a healthy environment and I am a strong advocate for the preservation of the animals who share our world. After 12 years of pet rescue, where I spent 24/7 being there for the animals and the people who became families for our animal friends, I also believe strongly in pet wellness and how we treat our friends. My workshop in Stevens Point, WI at the National Wellness Conference in 1990 started the 12 years of pet rescue. I still rescue animals when I can. For relaxation and fun, I am a photographer and artist. My website is Sami’s Art and I paint flowers, landscapes, pets, wolves, portraits of people and pets and do commissioned art. My fine art storefronts are at Fine Art American and Imagekind. I have a gift shop at cafepress.